There’s always something pulling you back when trying to lose weight. And some of those factors that are preventing you to shed excess pounds are so insignificant, you don’t even notice them. To help you continue to shed excess pounds, we covered here the main reasons you may not reach your goal. What Is Preventing You To Shed Excess Pounds? Skipping meals is one of the most-flawed approaches you can take to shed excess pounds. Sure, the fact that you aren’t eating when you normally would may cause you to believe you are limiting your daily caloric intake. But the ensuing hunger often leads to overcompensation with too much snacking later in the day. Choosing to forgo breakfast can be especially detrimental, because your body will unsatisfied from the outset of the day. The calories you are likely to consume while trying to satisfy your cravings will often amount to a caloric total higher than you would have consumed with a traditional meal. Even if you are consciously abiding by a restrictive diet or getting plenty of light exercise, you may be failing to lose as much weight as you’d like. That’s if you’re not adding some weight lifting exercises into your workout regimen. Weightlifting can be one of your best assets for shedding excess pounds, because adding lifting into your routine can boost your resting metabolism. This means your calories will be converted to fat-burning energy even when your body is at rest. The law of diminishing returns is just as applicable to your exercise routine as it is to the economic market. Doing the same motions day in and day out will ultimately lead to dwindling benefits in the long run. As your body adapts to a routine, you need to inject new life into that routine to maximize the benefits for the effort you’re putting forth. This means rather than settling for 30 minutes on the treadmill or stationary bike five times a week and expecting optimal returns, you should switch up your routine to work different muscles and try new exercises every few days of your schedule. Doing so will keep your workout from getting stale, and it will prevent your body from adapting to the predictability of your routine. Breaking news: if you are stationary for most of the day, the odds are not in your favor to shed excess pounds. Sitting at a desk or reclining on a sofa for too many hours of the day does very little in the way of burning calories. Adding insult to injury, being immobile for much of your day also tends to make snacking more likely. The good news is that even incorporating minor exercise as a reprieve to your stationary workday will pay off handsomely. The American Journal of Clinical Nutrition found that standing and stretching each hour can increase your metabolism by as much as 13%. If you pair that stretching with ten minutes of light walking, you may be surprised the gains you’ll make staying energized and burning excess calories. One of the biggest reasons people fail to shed excess pounds is their consumption of empty calories. These calories add little, if any, nutritional value, but make up plenty of many people’s daily caloric intake. A significant portion of empty calories for much of the population comes from liquids. Sugar-packed sodas, coffee beverages, energy drinks and a wide array of alcohol and spirits increase daily caloric intakes while adding no nutritional benefit. Some offenders are worse than others (a 500-calorie Frappuccino from Starbucks or a Long Island Iced Tea that subtly mixes in several hundred calories with its potent spirits). But even low-calorie diet offerings may not help you drop pounds quite like you are hoping. The artificial sweeteners of diet drinks often lead to snacking that add on the calories you save by opting for the low-calorie route in the first place. 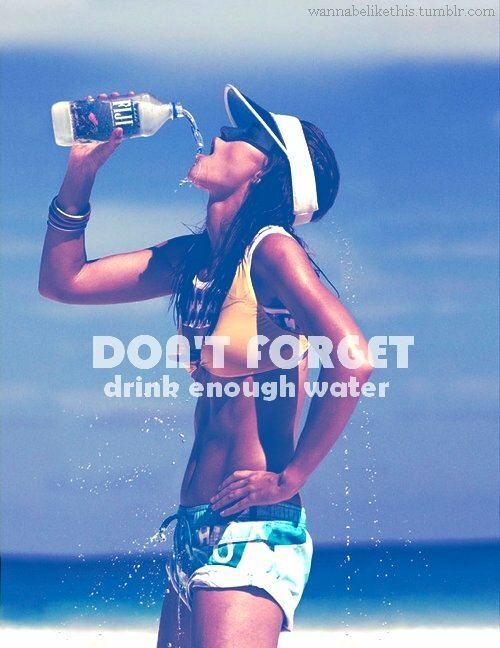 One great stride you can make is to trade in those high-calorie drinks for water whenever possible. If you don’t keep concrete evidence of what you consume on a daily basis, you may be surprised how inaccurate your figures are. It’s fairly easy to remember what you ate during the major meals of your day, but too often the snacking throughout a day is forgotten. Try keeping a journal of every single thing you eat and drink on a daily basis. Not only will your accuracy improve with respect to your daily caloric intake, but it will also force you to consciously think about your decision every time you reach for a snack out of habit rather than hunger. Any trip to the supermarket will provide you thousands of low-fat, low-sugar or fat-free options. You may believe you are saving calories and increasing your likelihood of weight loss by purchasing such items, but are you really? Sure, if you do an equal trade of a single serving of regular potato chips for it’s low-fat or fat-free cousin, you will be saving on calories and grams of fat. Unfortunately, the absence of fat in many of these items leaves you feeling less satisfied, which usually results in the consumption of larger servings. Keep in mind that just because these low-calorie or low-fat options seem healthier on the surface doesn’t mean your body will be healthier in the long run. The fact that it gets tougher to burn calories as you age is a fact of life, and there is little you can do about it except work harder. Your metabolism isn’t the same in your thirties or forties as it was when you were younger. And you have to put forth more effort to burn calories you would’ve burned easily as an adolescent or co-ed. Your age may be one of the factors making it a challenge to shed excess pounds. But your dedication to healthy dieting and exercise will make all the difference in attaining the body you desire. Your quality of sleep plays an important role in your body’s metabolism. Getting a full night of uninterrupted sleep allows your body to produce an ideal amount of human growth hormone, which burns fat even at a rested state. If you’re struggling to get sufficient sleep, then you are already putting yourself at a disadvantage when you’re trying to shed excess pounds. On the other hand, too many midday naps are likely to leave your body in a state of inertia. And this will lower your metabolism and keep you lacking sufficient energy for healthy exercise. As mentioned earlier, drinking water instead of calorie-laden beverages throughout your day can be one of your greatest assets when it comes to shed excess pounds. However, even if you aren’t imbibing sugar-packed coffee drinks or high-calorie alcoholic beverages on a daily basis, you could probably benefit from drinking more water. Staying sufficiently hydrated is one of the easiest things you can do to keep your body energized and in optimal condition to burn calories. Sources: WebMD, Health, ChaCha, Fox News.